I did not have the opportunity to grow up in a Christian home. While I was a young man in Portsmouth, Ohio, my hard-of-hearing mother did the best she could to raise five children by herself. My church attendance was sporadic as a bus kid, and I was briefly exposed to the deaf ministry at Bill Rice Ranch due to my hearing loss. Even though I was not a Christian, a man volunteered to pay my way to a Christian school. After being invited to church by four girls from this school, I went to a revival meeting where their father was preaching. As I came forward for prayer, all of the men of the church surrounded me and began to pray for my soul. I was miraculously saved that evening. My pastor (Howard McGraw/First Baptist Church of Sciotoville, OH) impacted my life greatly and encouraged me to attend Bible college. 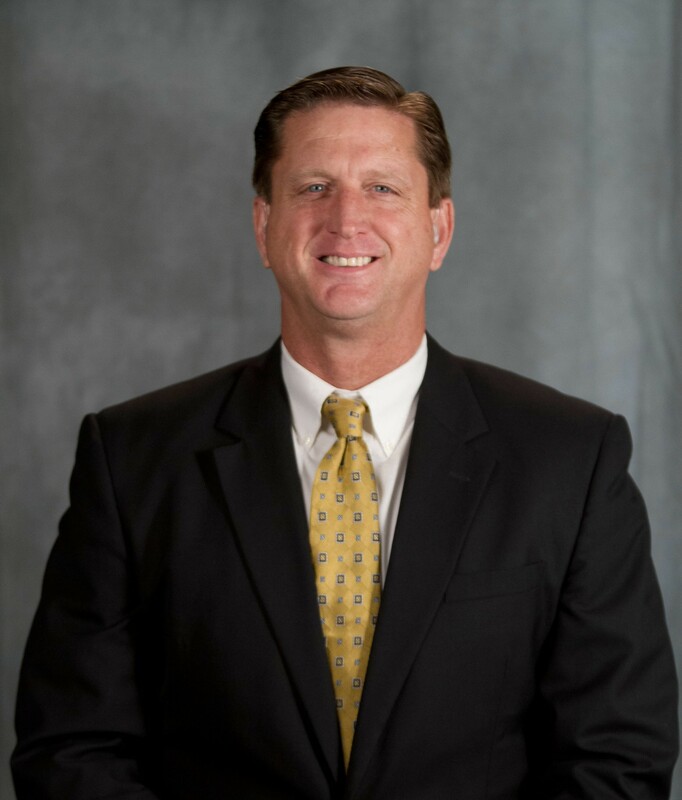 Dr. Bruce Foster offered me a basketball scholarship to Oklahoma Baptist College under the direction of Dr. Jim Vineyard. God changed my life tremendously and I surrendered to preach and to use this calling to reach the Deaf and those wanting to serve in the Deaf ministry. I met and then married my wife, Tricia, on May 19, 1990; we have three children: Scottie, Jessalyn, and Brooklynn. I have had the privilege of serving as a Christian schoolteacher and coach for 7 years and have been a college instructor at Oklahoma Baptist College and Crown College of the Bible for a total of 14 years. 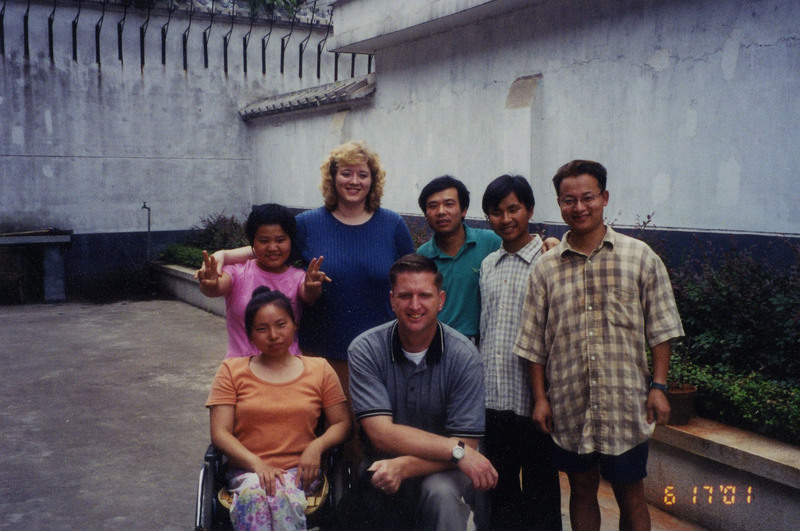 In both colleges, I initiated or supervised the Deaf/interpreter programs as well as worked with Deaf choirs for college recruiting and missions conferences. At Windsor Hills Baptist Church in Oklahoma City, OK, I served as Deaf Pastor under Dr. Jim Vineyard for 23 years; High Street Baptist Church in Columbus, OH, for 2 years under Pastor Chuck Mainous; and Temple Baptist Church in Powell, TN, under Pastor Clarence Sexton for 5 years. My wife and I also had the opportunity to establish a Deaf ministry at Mt. Apo Baptist Church in Davao, Philippines. 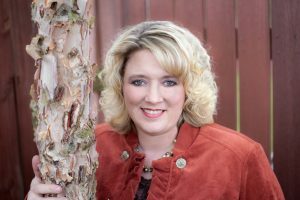 Some of my other experiences have been: public school mentor in deaf education classes, deaf camp coordinator, national deaf conference coordinator, deaf revivals, interpreter workshops, Bible club (Tennessee School for the Deaf), sign language classes, and have served as a board member at the Knoxville Center of the Deaf. Our great joy is to see our former students serving the Lord in North America as well as Peru, Brazil, Panama, Kenya, Philippines, Dominican Republic, Ivory Coast, and England. 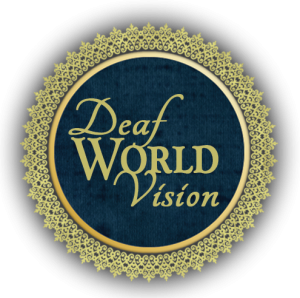 Our greatest passion is to see souls saved and train others THAT ALL THE DEAF MAY KNOW. I was born in Ponca City, OK, but later moved to Enid, OK, where someone invited my parents to church. My dad eventually served on staff at Bible Baptist Church under Pastor T. A. Chick. It was there that I met my first deaf person. At the age of 10, God called my father to preach. We moved to Trinidad, CO, and my dad started the Bible Baptist Church in our apartment. I was the church pianist at the age of ten. We later moved to Kansas City, MO, to work in an inner city church (Columbus Park Baptist Church) under Dr. Jim McIntyre and then settled in Pocatello, ID, where my dad pastored Crossroads Bible Baptist Church for 5 ½ years. At the age of 14, I realized my need for salvation even though I had grown up in church. My family practiced biblical separation standards, and even though I always attended public school, this seemed to strengthen my convictions rather than weaken them. Even so, I resisted the call of God to full-time Christian service after seeing my parents’ experiences in the ministry. I finally surrendered to God’s will and went to Pacific Coast Baptist Bible College in San Dimas, CA (Calvary Baptist—Pastor Duane Thorp). Although I was a music major, I had a special passion for missions. My missions teacher, Dr. Eli Harju, had a specific influence on me regarding the Lord’s work. My parents moved to Ponca City, OK, where we attended Central Baptist Church (Pastor Biddinger/Waterloo). I then transferred to Oklahoma Baptist College. The training I received there is priceless. We were not trained to be kings and queens, but to be servants. My husband and I are not ones to try to make names for ourselves or bask in the glory of recognition. The deaf ministry is certainly not the place for that. The biggest blessing has been to work alongside my husband in the deaf ministry for over 25 years. We are blessed with three children: Scottie, Jessalyn, and Brooklynn. 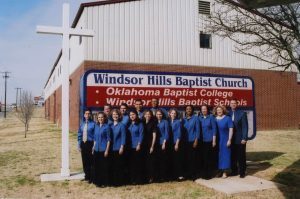 Our experiences in Oklahoma, Ohio, and Tennessee, have been numerous: deaf camps, deaf choirs, interpreter workshops, missions trips, and establishing a deaf ministry in Davao, Philippines. Although I have my credentials as a nationally certified interpreter through the Registry of Interpreters for the Deaf, and although I have interpreted for years in the freelance, educational, video relay, and prestigious venues, these cannot compare to the most important “accomplishment” that we have been involved in. We have had the opportunity to train Deaf and hearing young people to reach the Deaf on 5 continents. Some of these people are ministering in several places in North America, Peru, Brazil, Panama, Dominican Republic, Philippines, England, Kenya, and Ivory Coast. No letters after my name are more valuable than this! The Lord has allowed me to write music--vocal CDs and songbooks produced by Faith Music Missions are available on our website. I find it ironic that years after writing the song, “Bury My Heart on the Mission Field”, God has called us into missions. 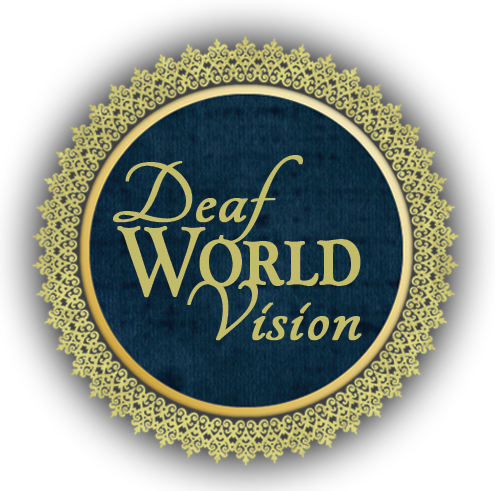 Our continued desire is to reach more Deaf and hearing laborers THAT ALL THE DEAF MAY KNOW. After 30 years of working with some of the finest people in the ministry, God has led us to establish Deaf churches/ministries in communities that have a prominent Deaf influence. Our desire is to reach into these major metropolitan cities with a higher percentage of the Deaf. As the Lord leads, we intend to turn each work over to another qualified leader and then seek additional cities to establish a new Deaf work. Several of our independent Baptist Deaf leaders have gone on to Heaven. We need the next Deaf generation to fill in the gap and take the reins as faithful Christians and/or ministry leaders. Our desire is to simply be a tool that God can use to manifest Himself. Due to the nature of the work, we are seeking full time ongoing support to do what God has called us to do with the Deaf. As we see the day of His appearing at hand, we ask for your prayers and financial support for the task that is set before us by claiming II Timothy 2:2, “And the things that thou hast heard of me among many witnesses, the same commit thou to faithful men, who shall be able to TEACH OTHERS ALSO”—THAT ALL THE DEAF MAY KNOW. Former board member at the Knoxville Center of the Deaf. 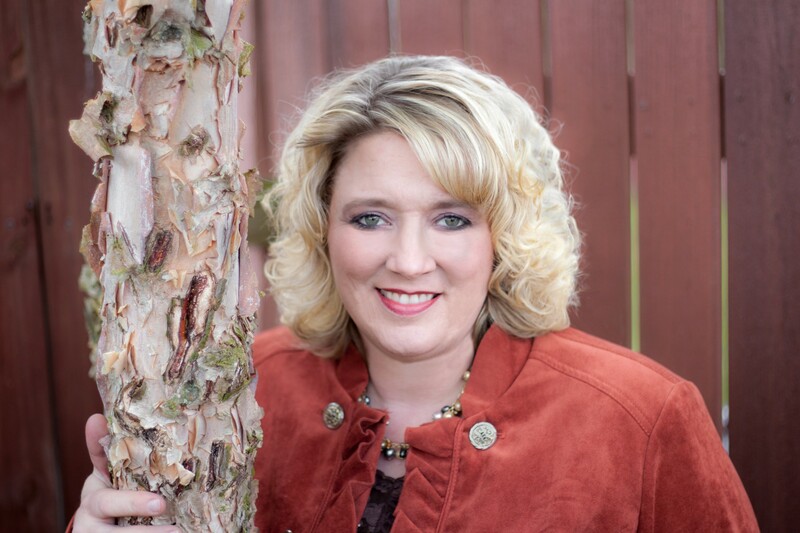 Freelance, community, educational, and video relay interpreter for over 25 years. We believe the Holy Scriptures to be the verbally inspired Word of God. The Scriptures are inerrant, infallible, and have been preserved to every generation. The King James Version is the preserved Word of God for English speaking people. The Bible is our sole and final authority for faith and practice. We believe in only one true and living God, the Triune God, existing eternally in three persons: Father, Son, and Holy Spirit. God is self-existent, co-eternal in being, co-identical in nature, and co-equal in power and glory. We believe God created the universe in six literal days—24-hour periods. God is our Creator. We believe that the Lord Jesus Christ, the Son of God, was conceived by the Holy Spirit and was the virgin born son of Mary. Christ is God in the flesh, and He became man without ceasing to be God. He led a sinless life and accomplished man’s salvation through His substitutionary sacrifice on the cross. Our justification is made sure by His physical resurrection from the dead. He ascended to Heaven, where He is now exalted at the right hand of God as our High Priest, Intercessor, and Advocate. We believe that the Holy Spirit executes God’s plan for conviction of sin and salvation. The Holy Spirit regenerates, seals, indwells, fills, and bestows spiritual gifts for Christian service. We believe that the Bible repudiates the charismatic emphasis upon experience-oriented tongues and ecumenical practices as being any ministry of the Holy Spirit. We believe that the sign gifts, such as speaking in tongues, were temporary. Satan is a person who waged a spiritual warfare, along with the fallen angels, against God’s plan. Satan is the enemy of God and man, the author of sin, and the cause of the fall of man. His power is supernatural, but limited; and he cannot act without God’s permission. He will be eternally punished in the Lake of Fire. We believe that man was created in the image and likeness of God, but fell into sin and death by choice. Man is universally sinful by nature and is devoid of the righteousness required by law. Within man, there is no remedy for his lost condition and no possible salvation. Salvation is through Christ alone. We believe that salvation is of grace and only through the saving power of the Lord Jesus Christ. Every man chooses to accept or reject God’s grace. Men are justified by faith and are accounted as righteous before God through the acceptance of the redemptive and substitutionary death of Christ on the cross—plus nothing, minus nothing. We believe that once saved, all the redeemed are eternally secure through the finished work of Christ. Salvation is reconciliation and man cannot be taken out of God’s possession. We believe in a literal Heaven and Hell. Those who are saved will spend eternal life with God, and those who are unsaved will live in judgment and everlasting punishment, and will be cast into the Lake of Fire. We believe that Christians should live in such a way that will not bring reproach upon the name of the Lord Jesus Christ. Those who are saved should separate from apostasy, worldly and sinful pleasures and practices, and live in a way that exudes modesty, Christlikeness, and avoids any appearance of evil. We believe that our Lord will return in a literal, visible, imminent, pretribulational, and premillennial way. Christians will be caught up to be with the Lord before the seven years of tribulation. At the end of the tribulation, Christ will return with the saints to establish a thousand-year reign on the earth.